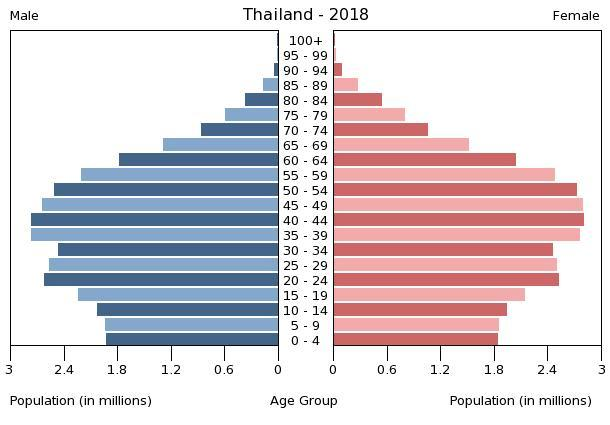 The size of the work force in Thailand was 38.7 million (Q3, 2018), with the majority of the workforce under 35 years of age. Each year about 800,000 people join this force. Many standard labor practices apply, including mandatory severance packages, and overtime payments. The minimum wage in Thailand is currently 308 baht per day. While not the lowest labor market in the region, Thailand's workforce is among the most cost-efficient in the world, as they have earned a reputation for diligence and adaptability. Effective 1 April 2018, the minimum wage shows in the below table. The literacy rate in Thailand is quite high and in recent years there has been an increased emphasis on education. The development of the Kingdom's human resources is its highest priority.